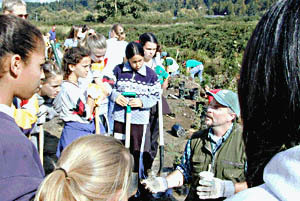 You're in: Salmon Conservation and Restoration > Lake Washington/Cedar/Sammamish Watershed > What You Can Do > Volunteer for Salmon! Outdoor volunteer opportunities are waiting for you. Sign up now with one of these organizations! Other resources for new volunteer stewards (Adobe Acrobat 177 KB).